This book is a revelation. 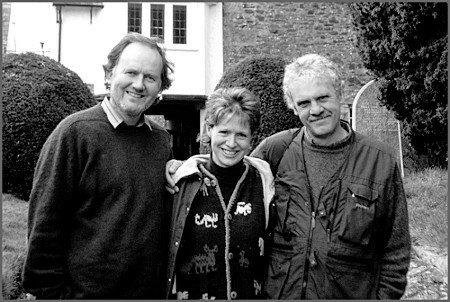 What begins as a personal quest of the three authors to discover more about a curious motif found in the medieval roofs of some modest Devon churches develops into an unexpected odyssey, sustained over decades, which takes them across continents and into many different cultures and faiths. Exploring beyond ever widening horizons as they pursue the extraordinarily diverse manifestations of this humble yet haunting image, their tale is rich in human encounter and cultural discovery, diligently researched, thoughtfully and engagingly told, and beautifully illustrated. And in the telling, their story becomes something more, an affirmation of our shared humanity, of things like the three hares' ears which bind us together. Three Hares share three ears, yet each beast has two, following each other in an eternal circle. This richly illustrated book tells the story of a 25-year quest, which began in Devon in South West England, to explore, across much of Eurasia, the origins, transmission, use and survival of this charming, enigmatic and sometimes geometrically precise motif. From their earliest recorded presence in sixth-century Buddhist caves in China, to the Christian abbeys and churches of medieval western Europe, embracing the Islamic world and Judaism as well, the Three Hares are given sacred and special status in diverse cultures, including that of the Mongol Empire. Examples are given of work by artisans inspired by the Three Hares for more than 1400 years. Undoubtedly the motif is 'A Curiosity Worth Regarding'. 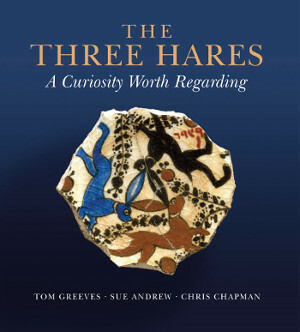 The 'three hares' motif is an ancient mystery for our time..... A warning against sin? Or a way to advertise good fortune? A fascinating book ranges from Devon to China in its search for the origin of an enigmatic image.